These coming elections are turning out to be some of the most polarizing that the American people have seen in a long time. Sure, you could say that about a lot of elections. They are all pretty important and polarizing by definition. I mean, with a two party system, what can you expect? Something about these elections, though, seems more pressing and more crucial than previous ones. 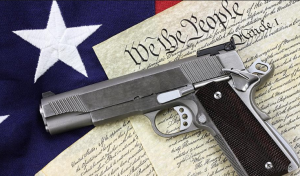 This time around, the two candidates are so vastly different, so opinionated, it is bound to have a real effect on our daily lives, and – as always – the topic of the Second Amendment to the Constitution comes under heavy fire during the months leading up to November. We’ve got it covered right here in our ‘The 2016 Election, Gun Rights, and The 2nd Amendment’ feature. During the Obama presidency, there wasn’t too much change going on with gun control – despite Obama’s best efforts. Obama had stated that he believes in the Second Amendment, but not in war weapons on the streets. Now, most people don’t want war. Civilians in general, and law-abiding gun carriers in particular, just want to be safe from violence. 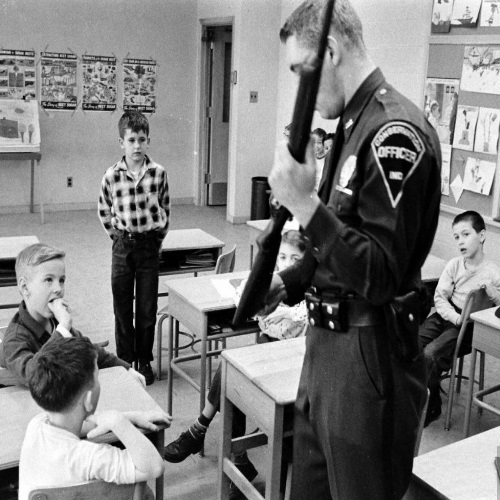 The right to keep and bear arms, the need for that “well-regulated militia” – have these really been played out? Do we no longer need them anchored in our constitution? 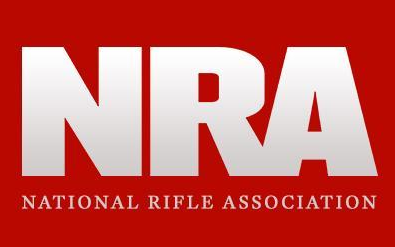 Of course we need them, and no, the NRA isn’t paying us to write that. I feel that as weapons become deadlier and more advanced, we – the people – need to have the power to counter anything, and feel safe. That is the bottom line. It can’t all be on the shoulders of the U.S. Armed Forces, after all. We also can’t be sure that we’ll always be able to trust our government. Over the course of his time as president, Obama attempted to push gun legislation by leveraging tragedies on several occasions – unsuccessfully each time, thankfully. Now, while we’re no longer concerned about saving the States from a British invasion, is still remains an issue of an individual’s freedom to protect him or herself. Also, on a positive note, the last major British invasion turned out to be a pretty good one. I mean, where would we be without the Beatles, the Stones, and Eric Clapton, right? Just as the end of the Amendment states, that right shall not be infringed. In accordance with that, I don’t believe either current candidate is looking to wholly abolish those rights given by the Second Amendment but I do believe that eventually, they both know that deadly weapons do not belong in the wrong hands. With that being said, the democratic candidate does look primed to revamp the same gun control efforts made by Obama as soon as she can. Both candidates are likely looking to protect and serve the people, and that can sometimes mean keeping certain guns off the street, or stopping certain individuals from obtaining access to firearms. These may be seen by some as an infringement, but you need to look a little outside of the box, and attempt to take in the bigger picture. That is what the President does – decision making, on a global and national scale. Damn near impossible decision making, I think. Leading the free world is a tough job. So, what do the 2016 candidates have to say about gun rights, gun control, and the Second Amendment? I won’t be focusing on what the candidates are saying about each other. There would be no point in doing that. Obviously, they would want us to feel that their rival will take away our rights, and that only they can save us from the creation of an all-around gun-free zone. Like I said, we all want to be safe. The problem is, what do we do about those people who simply want to watch the world burn? 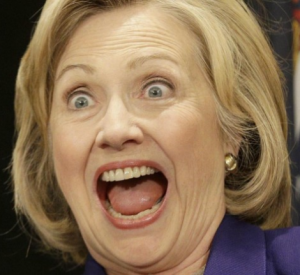 What does Hillary Clinton think of the 2nd Amendment and gun rights? In the 90’s and early 2000’s, Clinton backed a series of gun control bills having to do with registration, background checks, safety lessons, and the increase of the minimal age for procuring a firearm. So far, so good. She was in New York, after all, which is known for its more stringent regulations. After she began campaigning for presidency in 2008, her views shifted somewhat, and she realized that what got her elected in New York may need to be tweaked in order to get her elected in Washington. She stated that she supported sensible regulation. She was opposed to a total ban. At one point, she reminisced affectionately about a time when her father taught her how to shoot, as a little girl. She realizes that guns are a part of American culture, and that some people enjoying shooting and hunting because they are brought up in that kind of environment. For better or worse, it is ingrained into them, and is an inseparable part of their way of life. In her ongoing 2016 campaign, Clinton seemed to be more of a gun control advocate. This time around, she called for banning certain weapons, extending the background checks on gun owners, and implementing other “reasonable” restrictions. She stated that she is not interested in taking away people’s guns, but that she is interested in keeping them out of the wrong hands. 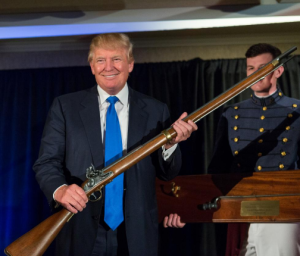 What does Donald Trump think of the 2nd Amendment and gun rights? One of the advantages (some would say disadvantages) Trump has over most candidates, is that he is not a career politician. In other words, he hasn’t been forced to voice his opinion before in a public and overly-scrutinized setting. Trump has always been in the limelights, of course, but only now has he had to provide answers and opinions on issues which other politicians have been facing since they began to run for official positions. Generally speaking, Trumps says that gun and magazine bans have been a complete failure. He advocates concealed carry in all 50 states, and insists that the current background check system is broken. Trump is all for keeping guns out of the wrong hands, and for acting to make sure that can happen, but also feels that the current way of doing things is not achieving that goal. This was the reason behind his endorsement by the NRA. They see in Trump someone they can count on. Trump is interested in defending law-abiding gun-carriers, and prosecuting those who misuse guns to the fullest extent. He has shown his support of initiatives such as the Exile Project and similar programs, which aim to reduce gun crimes and violence by prosecuting gun criminals in federal courts. There are “Second Amendment People”, as Trump said during the recent August, and correspondingly there are Second Amendment kinds of guns. Not all weapons are created equally, and not all weapons should be treated equally. Where do you draw the line? Both candidates undoubtedly agree that not all people should have access to guns, and that those who have access to guns, should not be allowed to carry certain types of firearms. We don’t all need a FN M249 SAW machine gun in our nightstand, now do we? For one thing, we don’t all have a big enough nightstand. Let’s talk a little bit about Second Amendment guns: firearms meant primarily for defensive purposes. Guns which are not the highly controversial, military-style, high-round-capacity weapons that the AR-15 and its many variants represent. You could argue that in the wrong hands, a weapon is a weapon is a weapon. There is some truth to that, of course, but when discussing the issues of gun violence and self-defense, you have to take the everyday-carrying, law-keeping citizen into account. 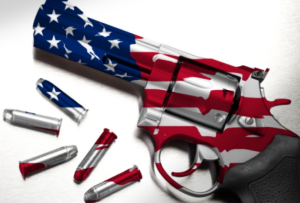 Some guns definitely qualify as Second Amendment guns – ones which make up the modern-day tapestry of Americana in which we all live, and which we all want to see ushered into a better future. In order to provide the people with the security they need to prosper and live in peace, you need to be prepared to provide them with the option of defending themselves. To me, that is what the Second Amendment is about. The old “Life, Liberty, and the Pursuit of Happiness” deal can only truly take place once a nation – and its citizens – are secure. Glock 17: The G19’s older brother, a full-sized, 9mm, semi-automatic, striker-fired pistol. It was the first model which Glock engineered, and it also utilizes the “Safe Action” system. Glocks are known for their accuracy and dependability. Having been used by law-enforcement and military organizations all over the world, and made of polymer-II andf steel, Glock handguns have gained a trusted reputation of being as close as possible to perfection. Kel-Tec KSG: The shotgun has always been an inseparable part of American culture. Be it for hunting, recreation, or self-defense, the 12-gauge shotgun is an icon. The KSG (Kel-Tec Shotgun) is a 7 + 7 double-tubed pump-action bullpup shotgun which allows manual tube switching and varying kinds of ammo to be fired. It has been around since 2011, and is still being produced today. SIG Sauer P229 – Got steel? If not, get on board. No polymers for this gun, no sir. SIG Sauer have their own group of elitists and enthusiasts, and for good reason. The company has a long history (established in 1853), and a fine tradition to uphold. The P229 is a compact semi-automatic pistol, chambered in 9mm, .357 SIG, and .40 S&W. Standard capacity: 10, 12 or 15 rounds, depending on caliber. Produced in the early 90’s, and still being produced today. Ruger 10/22: A semi-automatic rifle, chambered for .22 Long Rifle cartridges. This is truly one of America’s favorite firearms, and it has been maintaining that status for over 50 years. Magazine capacities: 10, 15, and 25, depending on the variant. Nothing says “you broke into the wrong house, dumbass” quite like a semi-automatic rifle, and this one is a piece of history. These firearms are there for your protection. 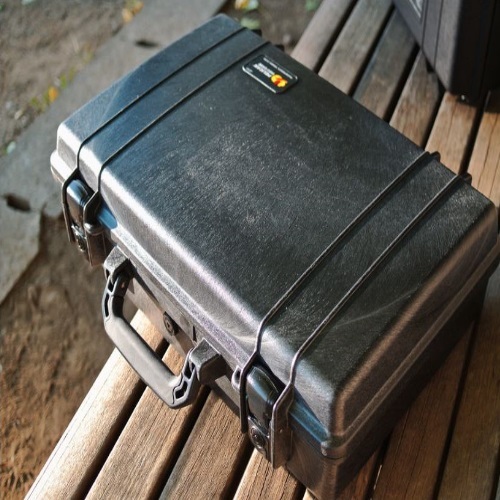 The U.S. Armed Forces, its government agencies, and its many law-enforcement departments are doing the best they can in order to ensure your freedom. You can be doing your part by voting for the candidate which you feel will best protect your right to keep and bear arms. This is not an easy decision to make. There are many issues which are on the table. The world (and to some extent, America) is such a messed-up place sometimes, and it can be difficult to whittle down your vote to something concrete which you can lean on. Some voters are voting blindly, based on personal views and biased politics, but many are looking into what they will stand to gain by choosing one leader over the other. Gun rights are about the rights of the individual, and it is up to that individual to make an informed decision. Gun control is always on the table. It is always a hot topic, and rightly so. We need to minimize gun violence and ensure our safety, without completely trampling over the Second Amendment. Do your research, look into the candidates and their platforms and opinions on gun rights, and find which one strikes a chord with you. And remember: on November 8th, 2016, make your voice heard. Get out there and vote! Thanks for reading our election feature – if you’d like to see more on current gun news, let us know in the comments section! In the mean time, check out our new Kel-Tec PF9 and Ruger LC9 features right here at Gunivore.